This post is brought to you by Petunia Pickle Bottom. Any opinion expressed in this article is based on our experience with the product and is not influenced by compensation. 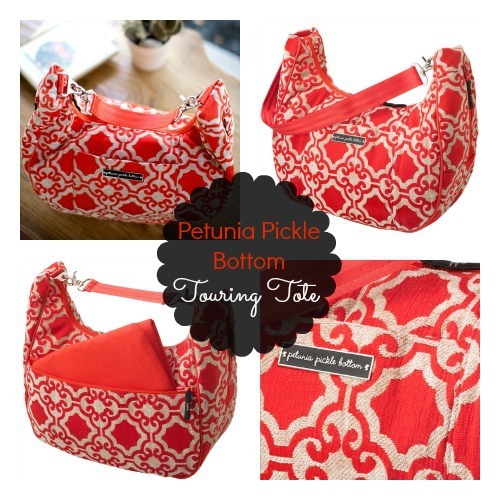 Over the years, Petunia Pickle Bottom has really made a name for itself in the diaper bag world. If you know Petunia’s style, you’ll be able to spot one from a mile away. Their bags are loved for both their style factor and functionality. Most of them come with a changing station, wipes case, interchangeable straps and include many organizational pockets. Petunia has also become somewhat of a status symbol in the mommy world today. 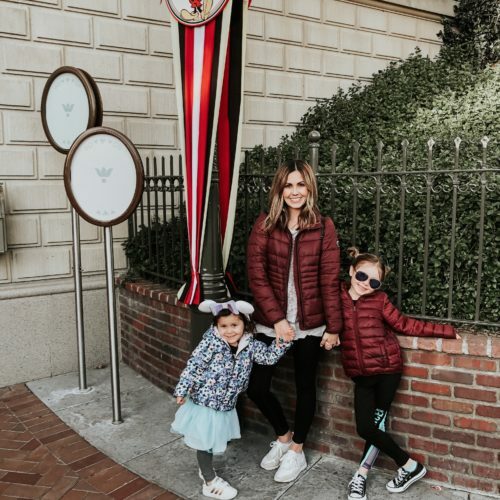 Petunia Pickle Bottom diaper bags have been seen on celebrities like Sandra Bullock and Sheryl Crow and many other trendy mommies around the world. 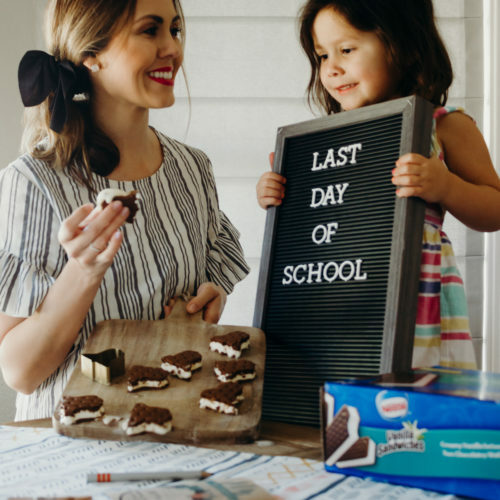 The Boxy Backpack is the bag I see around the most and I (Cristen) personally love it because it works as a backpack, shoulder/crossbody bag or a stroller bag. It has more than enough storage space for diapers, bottles, wipes, extra clothes, snacks and so much more. The price point for these bags is about $189 but it packs a lot of bang for the buck. My favorite prints are the glazed prints because they are more durable, wipeable and have super fun prints. 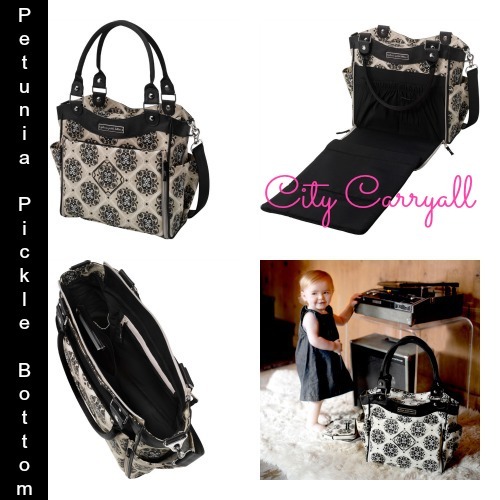 The City Carryall is another great Petunia Pickle Bottom diaper bag that is more on the traditional side. This bag offers a built-in changing station, lots of organizational pockets and a wipes case. This bag is a little cheaper than the Boxy Backpack and runs at about $165. This is a great option for infants or toddlers or mothers of multiples. Here’s a diaper bag that is great for moms on the go. The Touring Tote comes with straps for three different carry options, a removable changing pad and a wipes case. My personal favorite print and fabric is the chenille Persimmon Spice. This print works for all seasons and adds a pop of color to any outfit. This is also a great bag to carry if you don’t necessarily have an infant but still need some of the diaper bag essentials. At a price point of $149, it’s more budget friendly and makes a great gift! Looking for a great bag for running into the store or dinner dates? Rather than lug around the big diaper bag, we suggest you pick up a Petunia Pickle Bottom Cross Town Clutch ($95). We also like this clutch for cruising. When on a cruise, you typically want to explore the ship with ease and this clutch is perfect for taking the necessities for a few hours out. Petunia Pickle Bottom is graciously sponsoring a giveaway on TheNapTimeReviewer.com in honor of our debut appearance on Good Day Sacramento on 2/24/14. One lucky winner will win the City Carryall Diaper Bag (shown above) in the Wandering in Westbrook print ($165 Value). Simply enter using the Rafflecopter form below. Giveaway is open from 2/23/14 to 3/9/14 and is open to US residents only. Good luck! I have never owned one but they are so cute and would love to! I have not! But I am always drooling over them! 🙂 Thanks for the chance! I never have but I would love to have one! I haven't had one but I always wanted a PPB! Yes, I own a Boxy Backpack and The Weekender and l love them both! I have not but they look so cute!! Would love to have one! This bag is amazing. I wish they had one when my son was a baby. Absolutely gorgeous and very smart the way the bag is made. 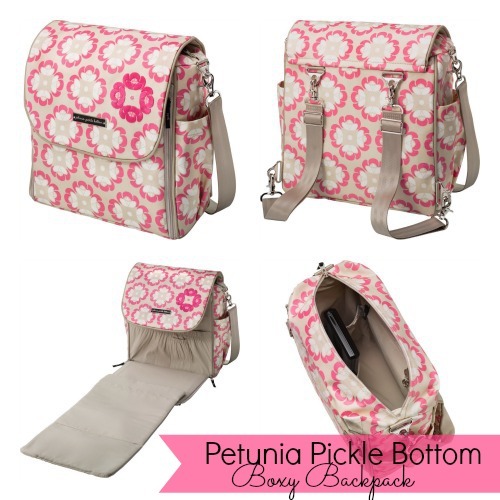 I have never owned a Petunia Pickle Bottom diaper bag…I would love to own one..They are so cute ..I could really use this..
Would love another diaper bag! Not yet…but they look amazing! I have never owned one but I may have hugged on at Pottery Barn a few times… 🙂 It is on my wish list, so it would be a DREAM to win one! Yes, with my second I finally caved and got a crosstown clutch and I LOVE it for short trips! I've never owned anything from PPB!! Hope I do soon! I don't have one of their bags, but really wished I had splurged on it when I was pregnant! Never owned one, but have been dying to get a PPB diaper bag! Yes, I have a carryall. I absolutely love it but would love to have a color that goes better with all outfits! Holy Cow, these look amazing. Never owned one, but hope to. I love it. I have the Sasha Satchel and LOVE it! I'm trying to vote for you, but I'm not sure I'm doing it right. Do you know if it's wonky in Chrome? I'll give it a try in IE too. I have never owned a bag from PPB, but I drool and envy all my friends that have one. They are gorgeous bags! My fingers are crossed for this giveaway. I'm also excited to start reading your blog. I'm in the Bay Area as well and just the name of your blog touches me. 🙂 I do lots of writing during naptime too. I would love to win this very cute petunias! Just found out I'm expecting…what an awesome bag to have! I've never owned one. Always has been out of my budget, but iLOVE then! They are beautiful and functional. I haven't, but I would love to try one! I've never owned one but I would love to! I have not owned a Petunia Pickle Bottom bag, maybe I'll get lucky! I just ordered my very FIRST PPB bag and I am soo excited to get it!! I have heard nothing but the best about them and I am soo excited to use it for our first little miracle arriving in July!!! Yes I own a older velveteen Petunia Pickle Bottom Boxy Backpack. I love it! I use it for everything its beautiful, holds everything in an organized fashion and is compact at the same time. I hope to win a bag for my sister in law that is expecting. I have never owned one but always wanted one. Just received my first PPB diaper bag. Isn't going to be used until May but I am already in love with it!! I have owned 2 and have loved them!! I have never owned one, but would love to. I love Petunia Pickle Bottom! I did own one – and I carried it so much that I wore holes in it! LOVED that bag, and I'd love to carry a new one. I have and I have loved it! I never have but I would love to! I would love to win this for my daughter, she is going through IVF. I have never owned one but I have always wanted to, they are super cute and look very functional. I love my 3 Petunia Pickle Bottom Diaper bags. The fabrics make me smile. I have been pregnant or had a little baby most of my married life. Since I got married I believe I have purchased ONE purse and a red clutch for a specific outfit, and 4 diaper bags. I don't get to use purses like so many other women. This bag is my it bag– whichever one I chose that day. No, but I'd love to! Can't wait! I have never owned one because they are too pricey but would love to win one! No I don't own one, but I would love to.. they look soo pretty. Nice job on Goodday Sacramento! I have never owned – but have drooled over the beautiful styles and colors!! No, I have never own one of the bags but have always wanted to 🙂 Love them! I have never owned one but I am fascinated by all the great prints they have. I owned one with my previous two babies and I LOVED it. I had a Boxy backpack and then a Cake bag. 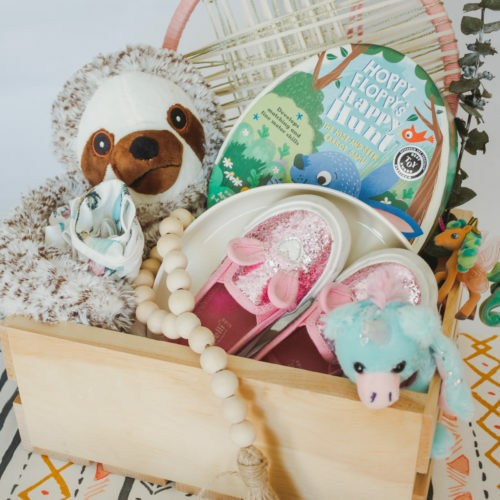 I am pregnant again and would love to win this to use with the baby. Thanks! I have never owned one. But I think their prints are soooo cute! Never had one, but a lady at church sat behind me with her kids, and I saw hers. LOVED it! A Petunia Pickle Bottom bag always bring compliments. They are so beautiful. Yes, I bought a cross town clutch at a sale long before I was pregnant, because it was so pretty! I haven't actually used it yet, because I was waiting for our baby, who is only 6 days old! My friends bought me a satchel for my baby shower, and this bag if I won, would be for my sister-in-law, who is due in May. I'd love to have my own PPB bag. I have never owned a bag like this…but I sure have dreamed of it! I would love to own one someday! 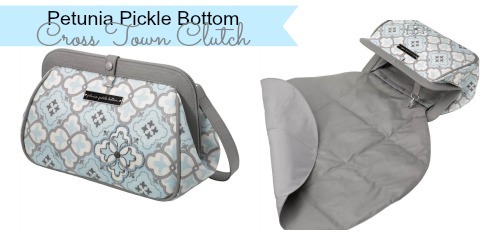 I never have owned a Petunia Pickle Bottom Diaper Bag but I know Mom's who love them. I have never owned one but I plan on owning one!!! I have a one PPB bag (can't remember the name) that I use as a purse and it is so well made and awesome!! I have never owned a Petunia bag but if I don't win one- I will be definitely purchasing one before baby #3 comes in Aug. ! No, I have not owned one before. I've never owned a Petunia bag, but I'd love to now that I'm a first time mom to a brand new baby boy. No I haven't but I've always wanted one. Crossing my fingers and toes! !